The iPhone 7 Plus model numbers can be found right here. This page will consist of mainly US modesl and some international model numbers as well. The list keeps getting bigger and bigger as Apple releases more colors. This year we have 2 new colors. 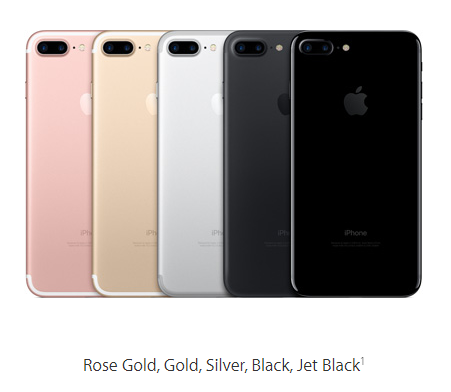 The colors include: Jet Black, Black, Silver, Gold, and Rose Gold. The Jet Black version is only available in 128GB and 256GB options. I will continue to update this post as I get more information. If you know part numbers for the iPhone 7 Plus in different countries please contact me or leave a comment below and I will try and update the list. Thanks!